There’s a lot more to detailing your car than simply giving it a quick wash with any old soap and slapping on some car wax. To keep your car’s paint job in tip-top shape, and to make sure its exterior is looking fine, follow these handy DIY detailing tips. When it comes to evaluating the condition of your vehicle, pay close attention to how clean/dirty it is, but also to its overall condition. For instance, if your car is new, or already has a good coat of wax on it you may only need a quick wash and wax to maintain it. However, if you’ve been a bit slack and your car is in major need of some RnR, you’ll probably need to undergo a thorough detailing. Before you use any car-cleaning product on you car, make sure you read the label to see if it’s suitable. Some products will be more abrasive than others, and different brands will often have different application methods. 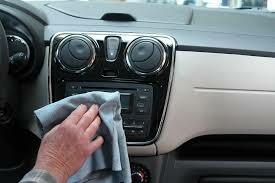 When you wash your car you’ll be removing any loose contaminants, like dirt or mud. Never use a household cleaner, like dishwashing soap, as these products can strip away the wax on your car and damage the paint job. Make sure you rinse your car first and use clean mitts or sponges, and drying cloths/chamois to achieve optimum results. While polishing your car isn’t essential it will add depth to the colour and maximise the gloss of you vehicle prior to waxing. Polish can be applied manually or with a dual-action polisher and the conditioning oils will ensure you achieve maximum results time again. Car wax is the equivalence of sunscreen, as it creates a layer of protection to keep your paint job from fading after prolonged exposure to the sun. It also helps to protect your paint job against anything that lands on your car, like bird poo. One of the more obvious benefits of car wax is that it preserves your paint job’s high gloss finish. You can usually purchase your wax in either carnauba or polymer form, both of which are highly effective, but polymer is a little more expensive and some people believe it is easier to apply and performs better. You might not be aware of this, but Windex, and other household glass cleaners often contain ammonia, which can damage your window’s tint. Steer away from household cleaners and invest in an auto window cleaner instead. For best results, make sure the cleaner is thoroughly removed, so you don’t end up with any unsightly streaks. It doesn’t matter how clean your car is, if your rims are covered in filth, your car will still look dirty. Cleaning your wheels is pretty straightforward, but it’s worth noting that only certain cleaning products can be used for certain wheel types. Most wheel cleaners have been formulated to achieve optimum results but could damage your rims if you use the wrong type. If you don’t know what type of wheels you have, opt for the least powerful option available, which is usually a pH-balanced aluminium cleaner. If you maintain the cleanliness of your car by washing it roughly once a month, you’ll only need to detail your car once or twice a year to keep it looking its best. Come in and chat to the guys at Bodyshop Paint Supplies in Bayswater to learn about the premium car detailing products we have on offer.